Comprehensive authoritative professional laser technology to bring you the perfect visual impact! Committed to the laser industry authority, design professional laser products customized for you! Beijing Viasho Technology Co., Ltd., founded in 2002 by Dr. Liu, is a Hi-tech company, which specializes in the R&D and manufacture of Diode Pumped Solid State (DPSS) lasers and related laser products. Beijing Viasho Technology Co., Ltd. has been manufacturing and selling Solid States lasers that with wavelengths including 457nm, 473nm, 532nm, 635nm, 660nm, 671nm, 808nm, 980nm, 1064nm, etc. These lasers are widely used in scientific, medical, industrial and entertainment applications. We have many years experience in researching and developing DPSS laser systems. Now we are one of the main suppliers worldwide for low-power and low cost DPSS lasers. 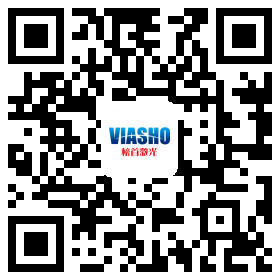 Beijing Viasho Technology Co., Ltd. can also provide special service for non-standard requests. Whether your requirement in on our product list or not, we will modify or produce an entirely new design to satisfy your needs or application. Don't hesitate to contact our engineers and sales person for assistance with your applications. We are certain that we can provide a product to fulfill your needs.